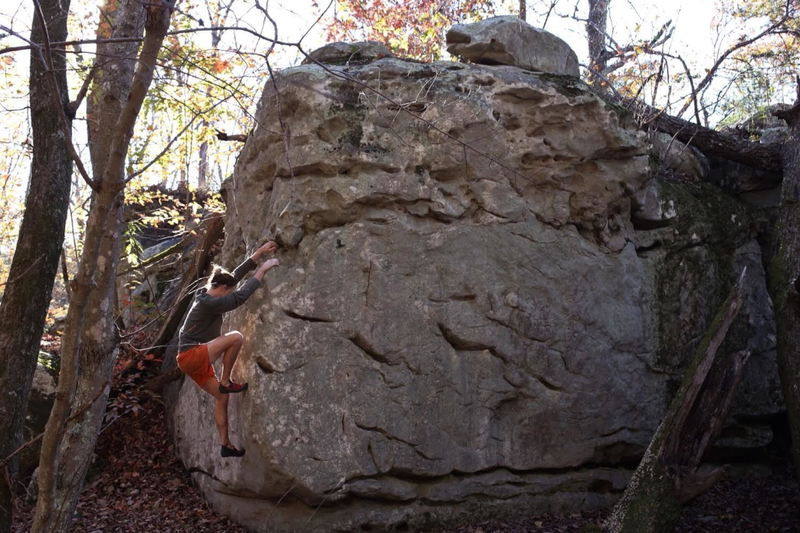 Zahnd is a beautiful, remote bouldering area on Lookout Mountain, with strongly textured sandstone boulders scattered throughout the park. 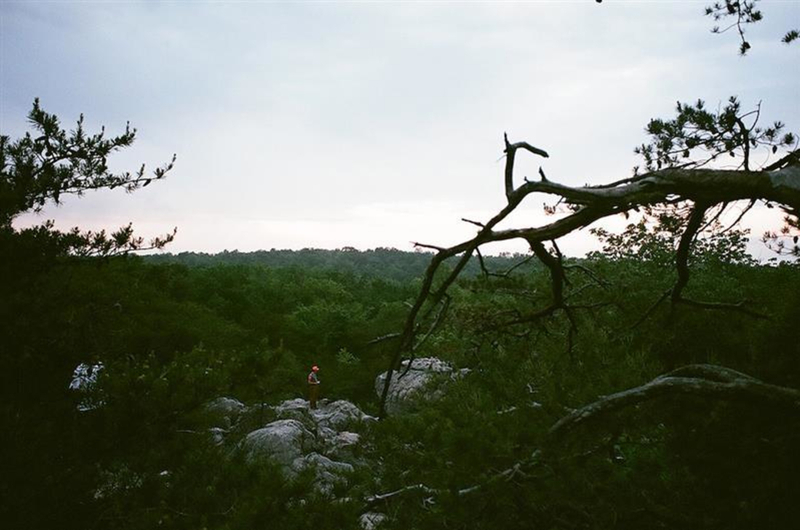 This park is 163 acres with textured sandstone boulders strewn throughout the area. 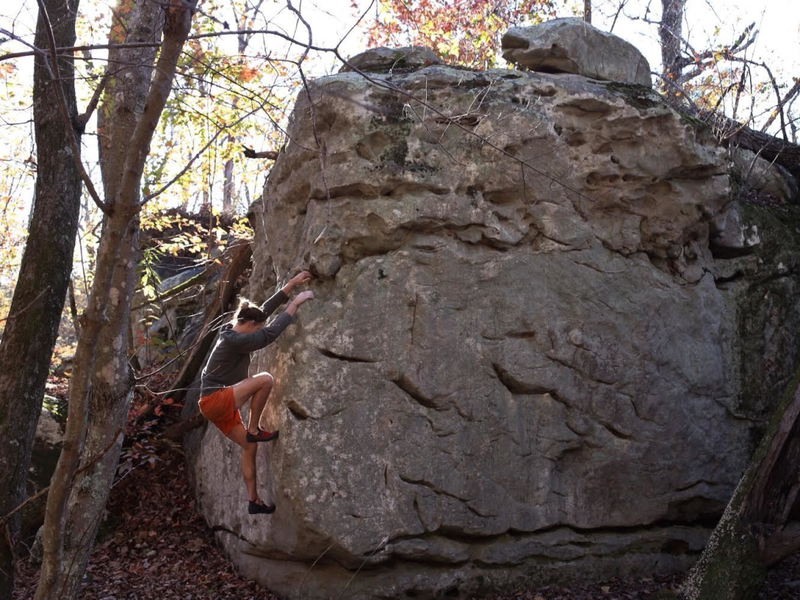 Zahnd is remote, and a great way to enjoy a day of bouldering without the crowds that frequent other popular climbing areas in the southeast. Zahnd is home to several classic lines such as The Wave, Razors Edge and Harvest Moon. After you have experienced these classics take some time to explore the other boulders in the area. The park has plenty of hidden gems yet to be discovered or documented. Zahnd is still under development and there is no telling of how many more boulders are to be discovered and climbed here. If you are into adventure and exploring, this is the place for you. 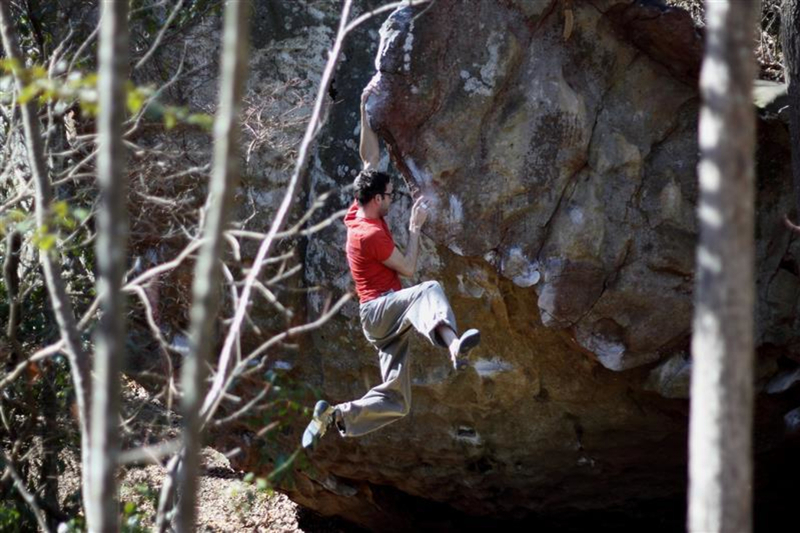 The proximity to other bouldering areas, like Rocktown, also makes this location a great pit stop if you just want to climb on the already established classics such as Razors Edge (v6) and Harvest Moon (v8). From the parking lot, proceed down the trail for a couple of minutes until you reach a split. At the split take a right and hike for a couple hundred yards to find the main cluster of boulders. On your way there will be a few problems spread out on various boulders, great for warm ups. The Phantom boulder is easy to recognize because of its small base and large flared features near the top. If you instead take a left at the split in the trail then you will find another must climb, The Sail (v1), which is a proud, thin arête. There are dozens more boulders past the sail, but many of them have very conglomerated stone. 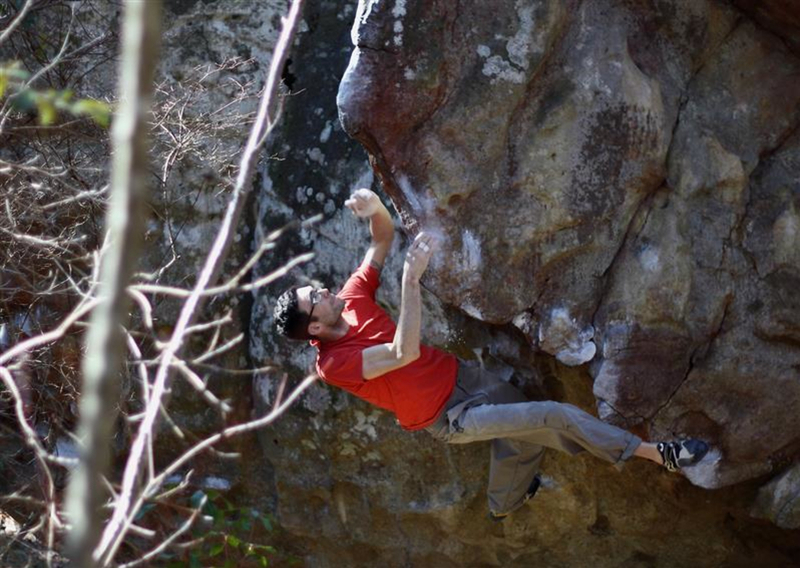 Any climber wanting to get away from the crowds of the busier bouldering areas, explore new territory or chase FA's. Zahnd is about a 45-minute drive from Chattanooga by way of the scenic Highway 157 and can be hard to spot if you are not paying attention. Keep an eye out for mile marker 6, once you see it, continue for about 100 yards and park on the right in the newly added parking area. You must park on the right side of the road; this is the side closest to the park. All land to the left of the road is private property, so please be mindful of this. There is also parking is an obvious large gravel lot on the West side of Highway 157 between mile markers 5 and 6. A new parking lot was recently added by the Southeastern Climbers' Coalition with room for at least 10 cars. The pull-out on the left is on private land so avoid using it. There are no signs posted currently so use your best judgement.